Sound absorbent, felt-like surface is washable and self-healing—scuffs and pinholes disappear. This versatile board helps you out in a number of ways. Accepts tacks, pins and Post-it® Notes! 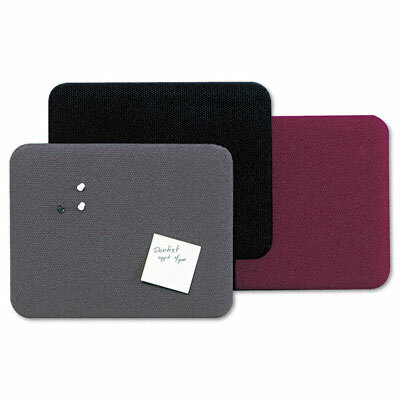 Washable felt-like surface makes cleaning easy. It's also self-healing, so pin holes won't show. Package includes mounting hardware to make hanging easy: self-adhesive strips for smooth surface mounting and wire hangers for room dividers and partitions.